Usually “acceptance” means giving in to some over-powering force–grudgingly. 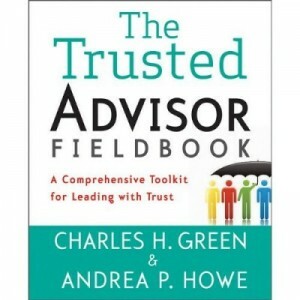 Active acceptance is not part of the basic toolkit of trust, but it belongs in the advanced course. If you can learn to actively accept, you will gain unheard-of levels of trust. Not to mention, you’ll be a lot happier. My wife-at-the-time helped me quit smoking by accepting me as a smoker. She told me that while she wanted me to be healthy and live a long life, she more wanted me to live my life on my terms, and she’d do everything to help me with that. “If you want to smoke in the living room, the bedroom, the kitchen, whatever,” she said, “It’s OK.” She once rerouted a joint long plane trip into two so I could get off and have less time without a cigarette. (Hey I was hooked). About two weeks after she made that offer, I quit on my own. Don’t confuse acceptance with surrender under protest. It’s not giving in. It’s not something you do as a last resort. And if you’re “accepting” with fingers crossed, eyes rolled, and resentments intact—that’s something else entirely. Acceptance is a positive. It’s an affirmation of the other party. It’s a commitment to support them, despite some fairly significant differences in world-view. Acceptance goes beyond “tolerance”—it’s a statement of the other’s legitimacy in the world. If it’s a client or a buyer that you’re accepting, it means acknowledging them as equals, and not as parties whom you succeed or fail in selling to or persuading to do your will. Much like trust, when you accept another, odd things happen. Accepting someone’s foibles–as my wife did mine–often results in a reciprocating counter-offer from the other party. Unless, that is, you were secretly trying to get that result, in which case you jinxed the deal. The best way to change someone is, sometimes, to give up trying to change them, and to change yourself instead. Specifically, to change your attachment to achieving your change.